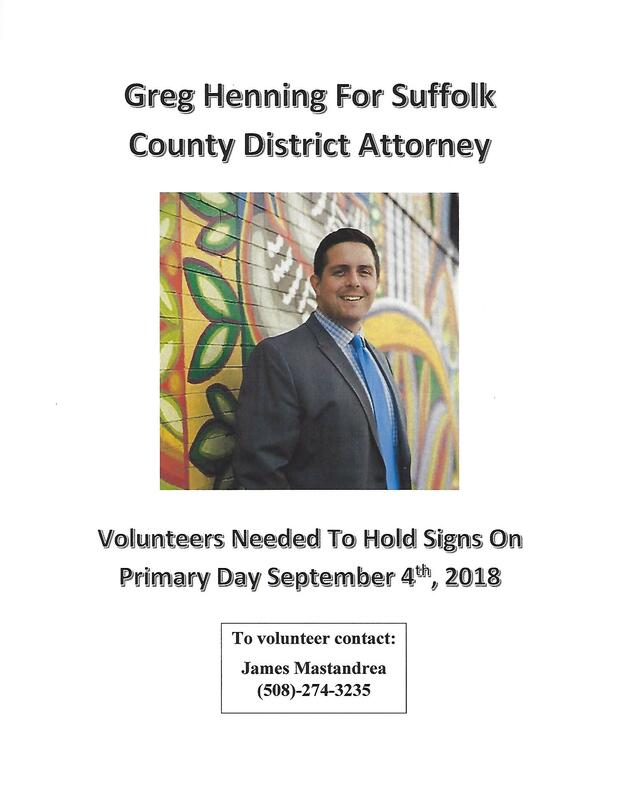 Representative Decker and her team need volunteers for tomorrow’s primary election at polling places around Cambridge. 7am-10am and 4pm-8pm are high traffic voting times. 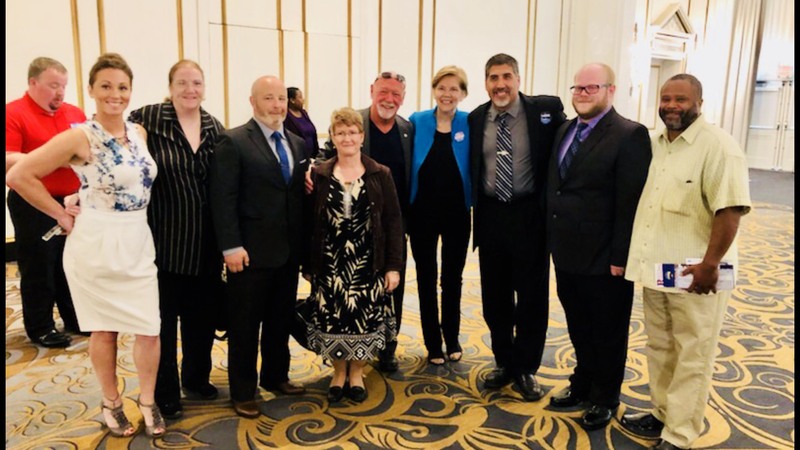 IAM locals 264 and 100 with Senator Elizabeth Warren at GBLC Labor Day breakfast (L-R) Jessica Perry-Lang, Barbara Ford, Jeb Mastandrea, Keisha Dunlevy, James Mastandrea, Sen. Elizabeth Warren, Mike Vartabedian, Bobby Brown, Jerome Hargrow. 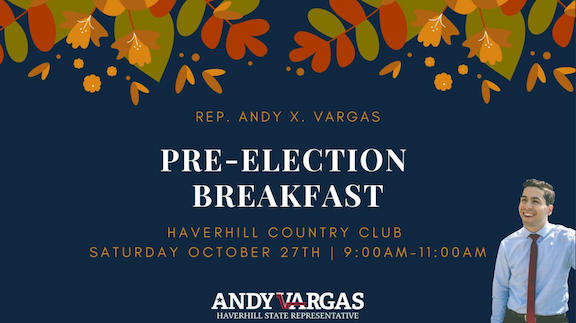 Representative Andy Vargas is a friend to labor and working families. 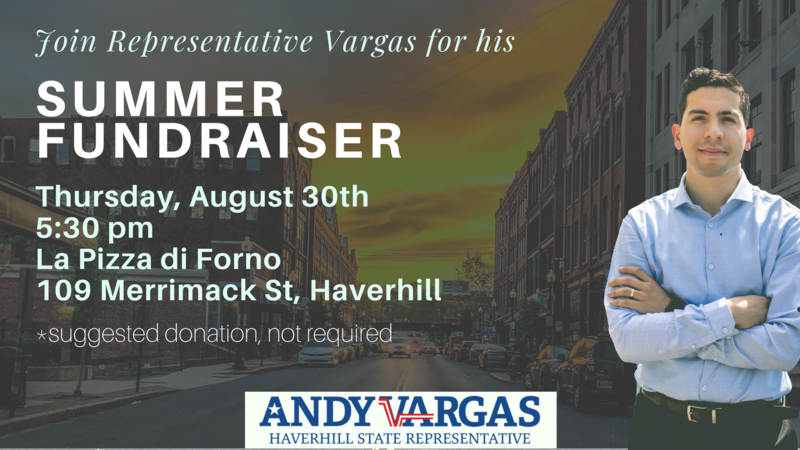 Please join him this Thursday for a fundraiser as he seeks re-election. Suggested contribution tickets can be purchased at the link below. 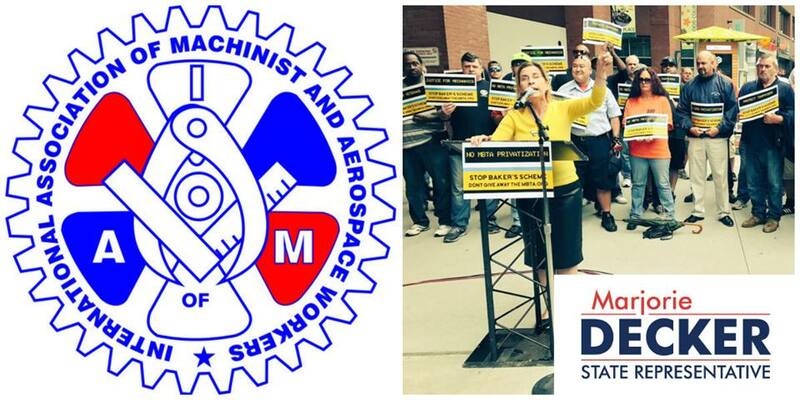 A strong and proven advocate for working families, Marjorie Decker is seeking re-election in the 25th Middlesex District. 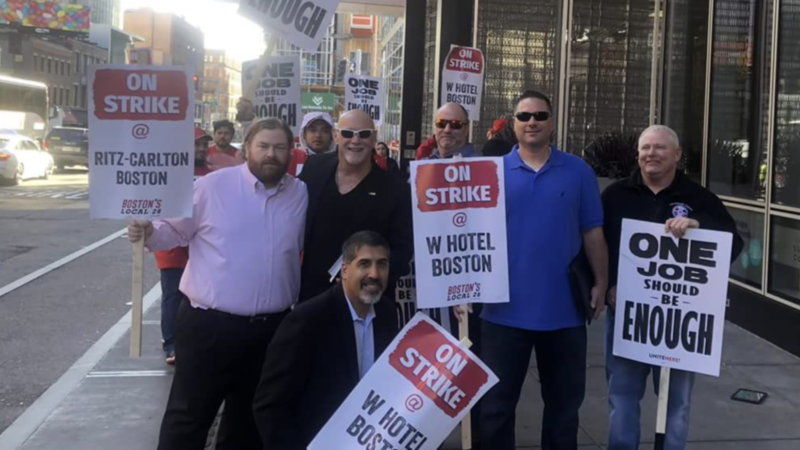 Local 264 endorsed candidate Pete Capano (11th Essex) is having a labor walk/ canvass on August 18th between 9:30am and 12:30pm @ 112 Exchange St, Lynn. 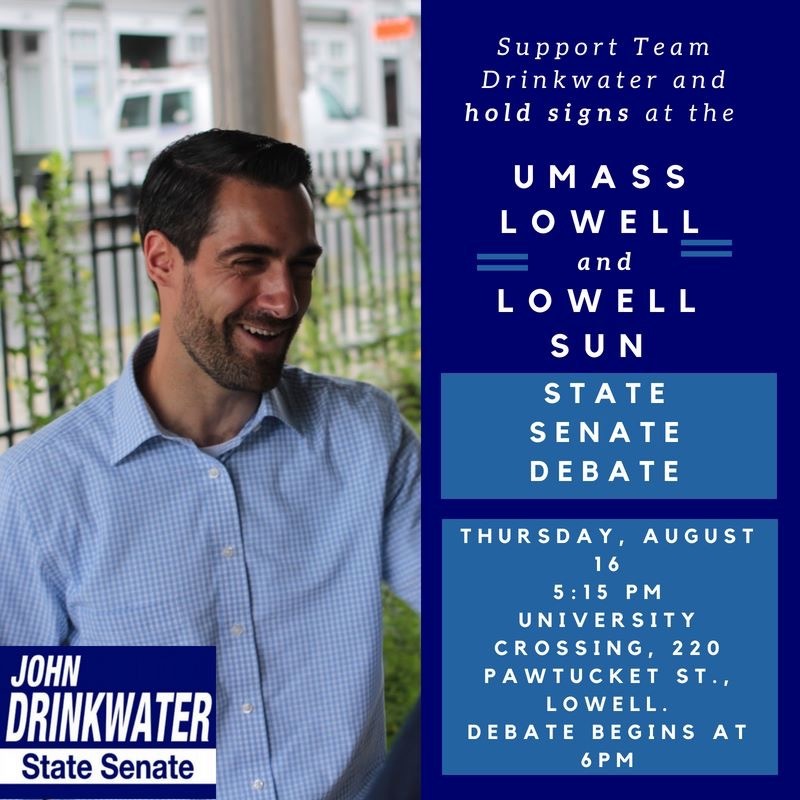 Please join us in supporting team Drinkwater at the State Senate Debate @ Umass Lowell. 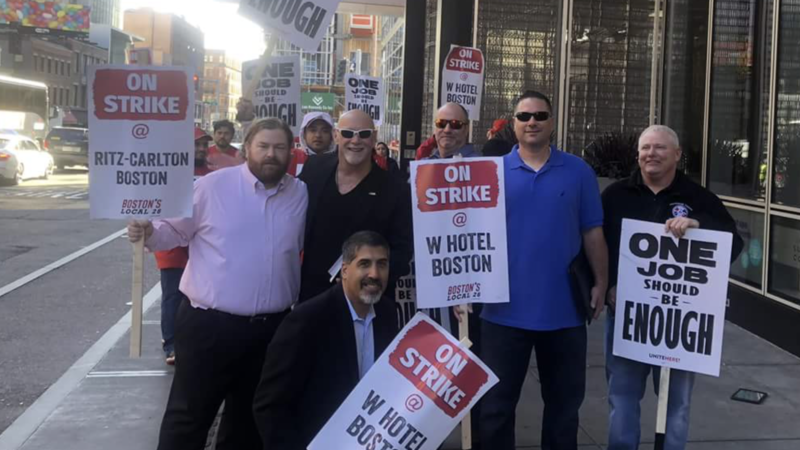 Please arrive at 4:30pm!